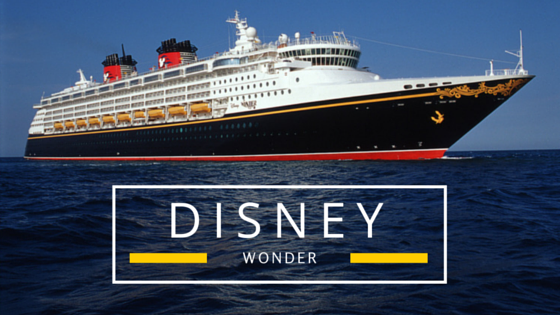 It had been a while, but we were extremely excited to welcome the Disney Wonder to Kahului Harbor week before last—for a day on Tuesday, September 15th, and then for an overnight on the 18th and 19th. It’s always a special treat to see the bright white, red, and navy blue Disney Wonder in port, and to hear its special “When You Wish upon a Star” refrain across town, rather than a normal ship horn. Yep, it’s a special ship all right, and we were honored to once again be selected as the featured land tour company for its Port Adventures while here on Maui. After weeks of preparation, special training for our staff, and triple-checking all the details, we were ready to roll into the harbor and greet guests from the Disney Wonder, with warm smiles, aloha, and fresh flower lei. It was a beautiful sight to watch our shiny, detailed fleet roll out for a beautiful day at Haleakala, Upcountry Maui, and the Hana Coast. We hosted over two hundred guests over the three days that the Wonder was in port, and every tour was an absolute delight for both our guests and our Hawaii Certified Tour Guides! Every guest had a VIP seat in an eight-passenger Luxury Limo-Van. Plenty of guests decided to take a leisurely day on the Road to Hana and join us for a Hana Picnic, for both family and adult-only departures. After departing from Kahului Harbor, our guides escorted our excited guests to Ho’okipa, to enjoy a light morning snack and a sip of coffee or an ice-cold tropical soft drink. From there, they started on the world-famous Road to Hana, and enjoyed the beautiful black-sand beach, a bountiful picnic lunch, and a refreshing swim at a natural waterfall. Other guests wanted to enjoy the Road to Hana, but had a bit more of an adventurous spirit, and chose our famous Hana Cave-Quest. Along with everything on the Hana Picnic tour, they enjoyed a tour of Hana’s “best-kept secret,” the Ka’eleku Caverns. After exploring the network of lava tubes, formed thousands of years ago underneath the rainforest, guests enjoyed their lunch on the lush grounds of the caverns, surrounded by beautiful tropical foliage. We also spent some time with our Disney guests at Haleakala and Upcountry, for our Summit Lavender Sojourn. They enjoyed beautiful morning views of the crater, a tour and a fantastic lunch at Ali’i Kula Lavender farm, and a tour of MauiWine. Afterward, they had a chance to stretch their shopping legs in quaint Makawao town before returning to the luxury cruise ship. Finally, on the Friday evening before Disney’s overnight stay, we were thrilled to host around sixteen guests for a Haleakala Sunset tour—a romantic luxury tour that our Tour Guides enjoyed right along with their passengers! After an afternoon harbor departure, they enjoyed tours of Surfing Goat Dairy, MauiWine, and Ali’i Kula Lavender, where they also enjoyed a local wine and cheese tasting and a chance to mingle with other attendees and their Tour Guides. Of course, the main event was the beautiful sunset at Haleakala, just as peaceful and magical as the famous sunrise, followed by an elegant dinner at the Kula Lodge. 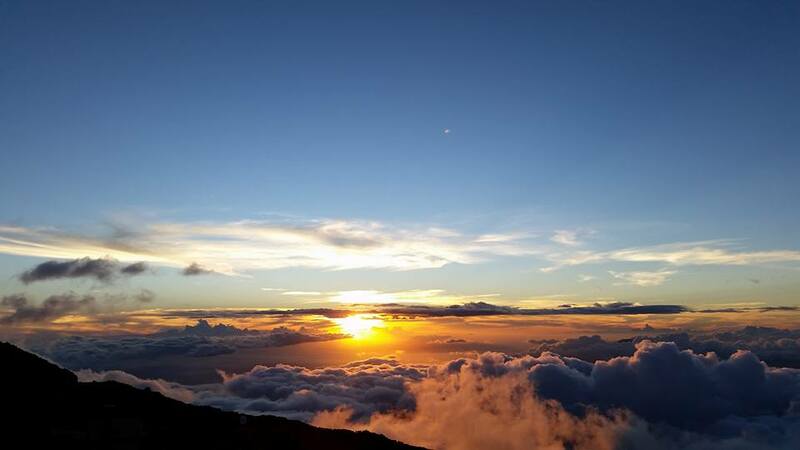 This incredible shot of the sunset at Haleakala was captured by our Tour Guide Scott! Both our Guides and our administration were excited, humbled, and beyond flattered to read comment after comment in the same vein from our Disney Wonder guests. We can’t wait to see that beautiful ship back in our harbor again, but whether you’re on the Wonder, another cruise ship, or are just enjoying our beautiful island life at a hotel, resort, or condo, you can expect the same level of service and luxury from any of our tours that our Disney guests experienced. Hope to see you soon! Sometimes, a day Upcountry is in order, especially when it means escaping the heat in Central Maui for a few hours. This past Sunday, my family took a little trip to Ulupalakua to enjoy some views, some wine, and the peaceful, tranquil vibe of MauiWine. 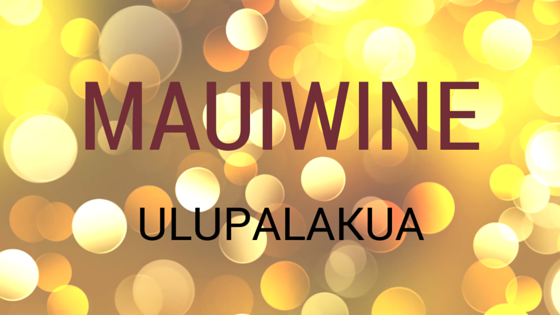 Right away, you’re greeted with the zen-like, quiet feeling that encompasses all of MauiWine. Situated on the slopes of Haleakala, Ulupalakua and the MauiWine grounds and tasting room are absolutely beautiful locations. Apart from learning about their wines and other products in the tasting room, we also enjoyed wandering around the grounds, exploring their unique plants and charming buildings and artwork scattered around. I loved these beautiful wood sculptures along the walkway! The tasting room itself is beautiful, so of course I forgot to get a picture of it! With rustic wood counters, and rows upon rows of beautiful wine bottles, you get a lot of different impressions at once. First, it’s an old-fashioned, cowboy-esque home, first built as a Summer Cottage for a visit from King Kalakaua. Second, it’s a Maui-grown experience, with Hawaiian touches everywhere, and beautiful upcountry views out its sparkling windows. Finally, it’s an upscale, wine-tasting experience, where you’ll get a feel for their award-winning wines, and choose the right bottle (or three) to take home. 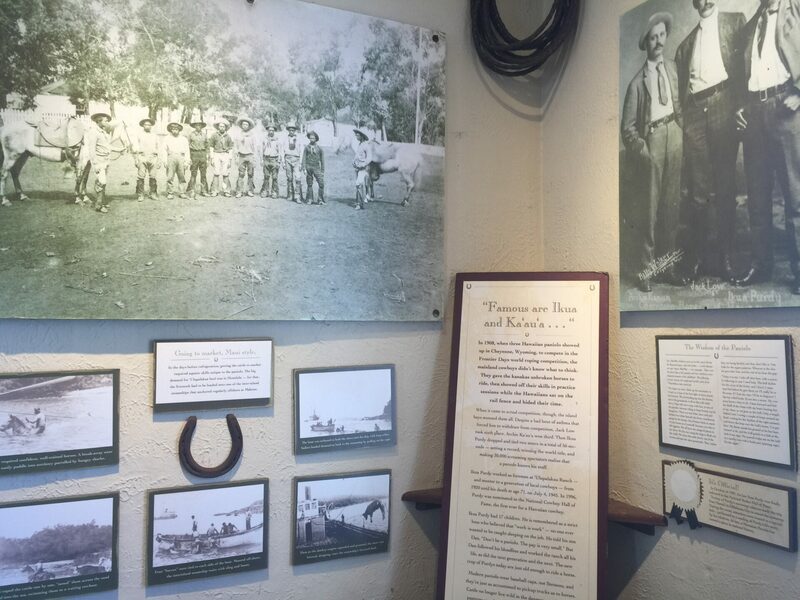 Learn about the history of the vineyard in the breezy anteroom before the tasting room. My husband enjoyed a full, three-pour tasting, and I opted for just a small taste of one. He enjoyed all of his, but we were both enamored with Lokelani, a crisp brut rosé, which I think will have to grace our Thanksgiving table this year. The helpful wine expert behind the counter told us that that one had just won a gold medal at the LA Wine & Spirits competition, and it was definitely apparent! 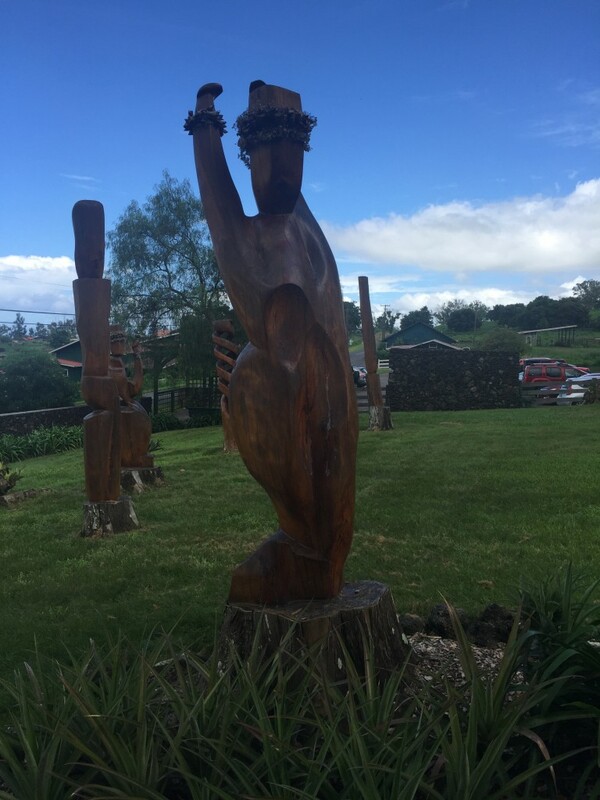 Even if you’re not a wine drinker, you can appreciate the absolutely beautiful landscape and views from the MauiWine grounds. It was certainly a journey to get there from our home in Wailuku, but once we were there, it felt like we were in another world altogether. If you’re ready to see what MauiWine has to offer, we suggest joining us on our Summit Lavender Sojourn. Your day will begin with a trip to Haleakala, where you’ll get incredible views of the dormant volcano bathed in morning light. Afterward, enjoy a visit to the incredible winery, before making your way to stroll through rows of lavender and enjoying an al-fresco lunch at Maui Lavender. 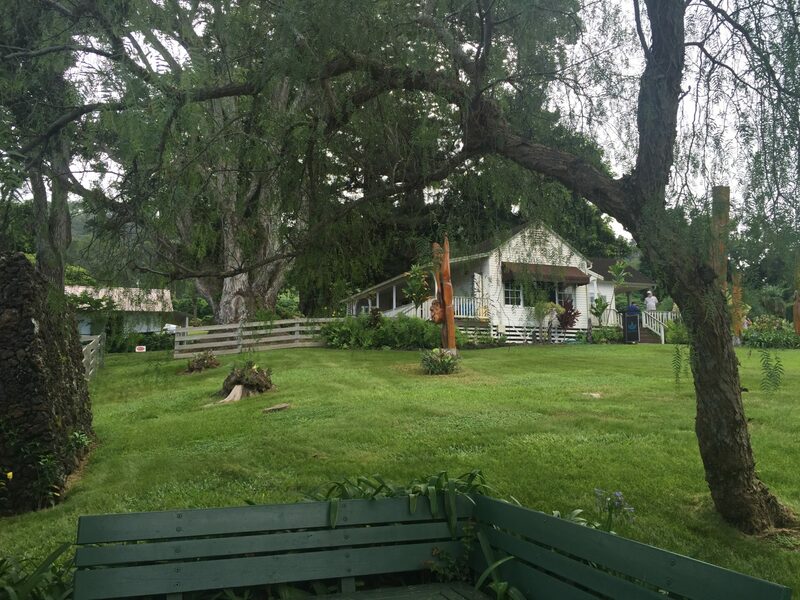 Finally, after a stop in Makawao for shopping and gallery-viewing, you’ll return to your hotel, energized and relaxed after an upcountry day that caters to all of your discerning senses. Join us soon! There’s some buzz recently about the increasing numbers of travelers who are going it alone—i.e., taking their major vacations by themselves. I must say, the thought of it sounds exhilarating! Although the focus of this article is on millennials, it highlights that people from all age groups are down to travel solo, all for different, excellent reasons. And the travel industry is responding; cruise ships are slowly starting to do away with their “single supplement” charge on certain voyages, and even Norwegian Cruise Lines (whose Pride of America is docked right here in Maui two days a week) has added single-specific studios for guests traveling by themselves. If you’re among this growing group, we really hope you’ll consider Maui as a top choice of destination for your next getaway. There seems to be a misconception that Maui (and Hawaii in general) is just a “romantic” getaway, especially when compared to the more bustling island of Oahu. And hey, if your idea of the perfect solo vacation is bar-hopping and club-going, the Honolulu might just be the place to be. Maui, however, is so much more than just a couples’ paradise. If a quiet, peaceful, indulgent escape is your goal, then Maui certainly has what you’re looking for. Pristine beaches, top-tier restaurants, and unique spas await you on the Valley Isle—and so do we! While you’re here, if you’re looking to take in some of Maui’s natural beauty in a small group, please give us a call. 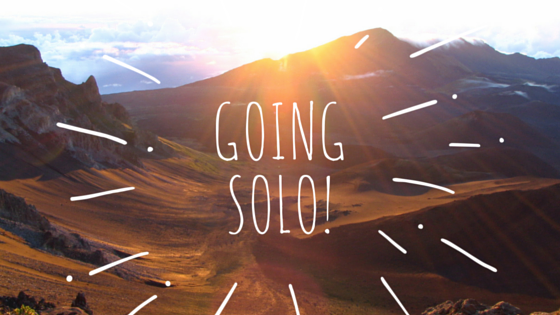 We love solo travelers, and we’ve certainly noticed the increase over the last few years! 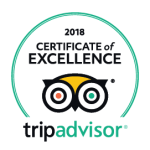 With a maximum of six to eight guests on each of our tours, the small-group experience led by a Hawaii Certified Tour Guide is perfect for those traveling by themselves. Although we do require a minimum to conduct tours, booking well in advance and being flexible with your dates should alleviate any issues with that. 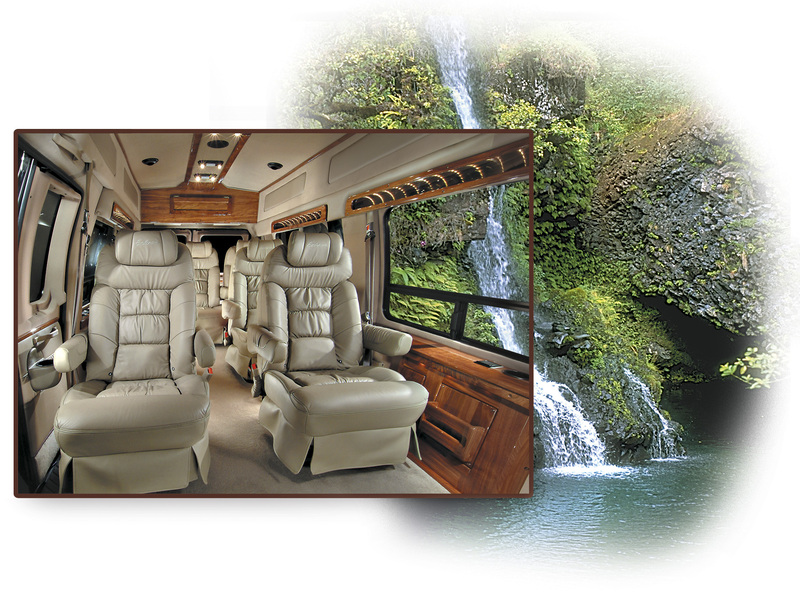 Popular tours among solo guests include the Summit Lavender Sojourn, the Hana Sky-Trek, and the Haleakala Sunrise. On each of our tours, you’ll be with a small group discerning travelers who, like you, want the very best for every aspect of their vacation. Guests on past tours have stayed in touch with each other for years, so be prepared to make a new friend or two! Still in the planning stages? Drop us a line, and we’ll be happy to help you pin down a range of dates that will work for the tour that excites you the most. We’re also always happy to chat about other activities, sights, and travel tips, which can take a little anxiety out of plotting out your trip by yourself. 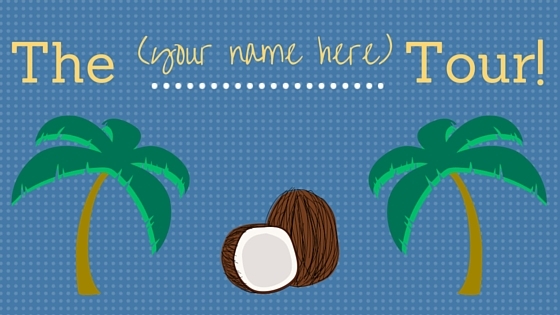 We’d love to hear from you—and happy travels, solo superstar! If you’ve taken the time to check out our tours, you may have found the one that’s perfect for you—and that’s great! Plenty of folks feel like the Hana Sky-Trek totally fulfills every idea they had of a day in paradise, or that there could not be a more perfect adventure for them than the Summit Lavender Sojourn. Maybe, though, you had something different in mind. A little from this tour, a bit from that tour, and then finished with something else entirely. Too bad we don’t have a tour like that, right? Hold up though—because we do! If you don’t see exactly what you’re looking to do in one of our eight popular tours, call or email us, and tell us what your tour looks like. Our reservations staff are all life-long Maui residents, and are happy to help you plan your perfect Maui adventure. We love getting creative, and might be able to give you ideas for your tour that you’ve never thought of. A trip to Lahaina, with a walking tour of historic Front Street, time for shopping, and then a tasty lunch at a famous local eatery. A tour to famous I’ao Valley and Kepaniwai park, with a visit to an ancient heiau, and then a stop for whale-watching at McGregor Point. A tour of Haleakala at sunset, complete with a wine and cheese reception at the summit, and a no-host dinner at Kula Lodge afterward. There are very few limitations to what we can put together for you, and we’re more than happy to arrange just about anything! Since we’ve been in operation for close to thirty years, we have close working relationships with helicopter companies, horseback riding tours, snorkeling companies, and more. 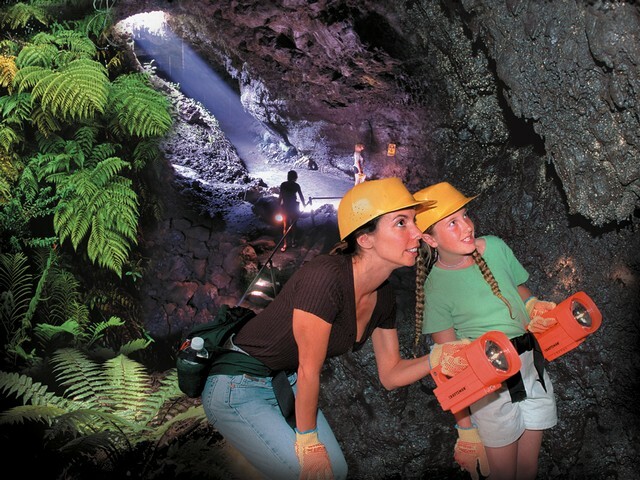 If you’re looking to incorporate another activity into your Maui tour, we can help! Whatever it is on Maui that you want to do, we want to make it happen. 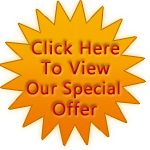 Call or email us with your ideas, and we’ll get started on a plan. 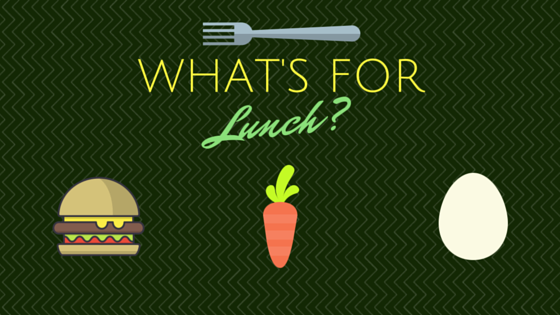 We can’t wait to hear what you come up with!